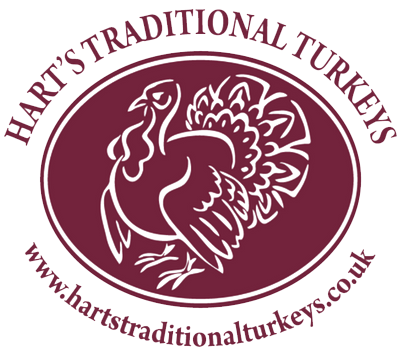 Hart's Traditional Turkeys | It's the way we raise them! Every year we raise a small number of free-range, premium bronze turkeys on our beautiful smallholding here in Gloucestershire. We feed our birds an all-natural diet and allow them to grow at their own pace. This means they’re perfectly mature and full of flavour just in time for you to enjoy the most superb taste of Christmas. We started raising turkeys more than 30 years ago when we first fell in love with these wonderful birds. Our turkeys are so succulent and full of flavour because we raise them the traditional way, with love and care. We sell delicious treats, all produced locally, and our own hampers. The perfect complement to your Christmas turkey. By far the most amazing turkey we have had.